What Information is Protected Under HIPAA Law? Home » HIPAA Compliance News » What Information is Protected Under HIPAA Law? One of the main aims of HIPAA is to protect the privacy of patients by ensuring certain types of information are safeguarded and not disclosed to unauthorized individuals, but what information is protected under HIPAA law? HIPAA laws protect all individually identifiable health information that is held by or transmitted by a HIPAA covered entity or business associate. According to the Department of Health and Human Services’ Office for Civil Rights there are 18 identifiers that make health information personally identifiable. When these data elements are included in a data set, the information is considered protected health information and subject to the requirements of the HIPAA Privacy, Security and Breach Notification Rules. What are the Allowable Uses and Disclosures of Protected Health Information? Ensuring policies and procedures are developed and implemented to restrict the uses and disclosures of PHI is an important element of HIPAA compliance. If health information is used for purposes not permitted by the HIPAA Privacy Rule or is deliberately disclosed to individuals unauthorized to receive the information, there are possible penalties for the covered entity or individual responsible. 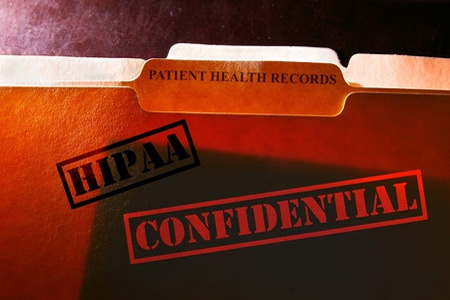 HIPAA permits protected health information to be used for healthcare operations, treatment purposes, and in connection with payment for healthcare services. Information may be disclosed to third parties for those purposes, provided an appropriate relationship exists between the disclosing covered entity and the recipient covered entity or business associate. A covered entity can only share PHI with another covered entity if the recipient has previously or currently has a treatment relationship with the patient and the PHI relates to that relationship. In the case of a disclosure to a business associate, a business associate agreement must have been obtained. In all cases, the minimum necessary standard applies. Disclosures must be restricted to the minimum necessary information that will allow the recipient to accomplish the intended purpose of use. Does HIPAA Prohibit All Other Uses of PHI? A HIPAA authorization must be obtained from a patient, in writing, permitting the covered entity or business associate to use the data for a specific purpose not otherwise permitted under HIPAA. The health information must be stripped of all information that allow a patient to be identified.